Vidinterest is a relatively new social video discovery platform which aims to redefine the ways in which users share videos which they discover around the internet. In August 2012 Vidinterest, a video discovery platform went live with features that let users to add videos to a playlist from Youtube, Vimeo & Dailymotion. 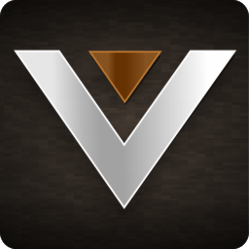 Vidinterest recently added new features , such as video groups, video shuffle and a global video search. In addition, Vidinterest has implemented a new user-friendly design that speaks volumes about the site, and helps to identify Vidinterest as a brand. The front page of Vidinterest gives users the chance to discover new videos immediately.With Video Groups, you now have a chance to discover more interesting videos shared by the community in selected topic or community. Letting you create a private , member only or public groups , Vidinterest created new opportunity to connect with the people with similar interest. It's not really necessary to play videos back to back in the order of date. Now, Vidinterest users can control the "Auto-Next" function to improve vidinterest experience . With Shuffle button added in Video page, users now have an option to randomize the video while watching a video from playlist or a group. Vidinteres offers users with the chance to share, discover & personalize online videos in a social environment. Videos from different online sharing communities can be shared, either through the Vidmarklet, which is easily installed into the user’s browser, or via the URL input box within the users menu. In Vidinterest users can easily create their private, public or friends only playlists. There are few blogger/webmaster friendly feature currently implemented in the platform. With profile & group cover photo user have option to link back to his/her website. If videos are added via any blog or webpages beside video community, the source site gets credit link on the video page. Video playlist embed feature will be live within 1st week of February. Vidinterset is still in beta phase and promises to add more interesting features on the platform.